For nearly 2 decades, professional photographer Jim Herrington has been working on a portrait series of influential rock and mountain climbers. The Climbers documents these rugged individualists who, from roughly the 1930s to 1970s, used primitive gear along with their considerable wits, talent, and fortitude to tackle unscaled peaks around the world. Today, these men and women are renowned for their past accomplishments and, in many cases, are the last of the remaining practitioners from the so‐called "Golden Age" of 20th century climbing. 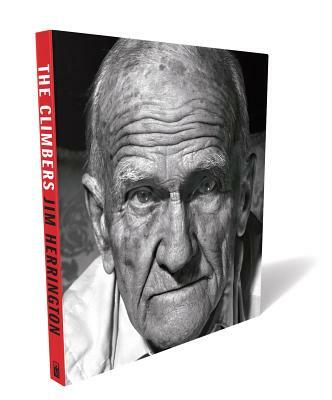 Herrington's images--the result of his own passion for climbing--allow us to study the faces of climbers who were driven to do the impossible for no other reason than the challenge. In these portraits we find people who ascended bold, visionary lines, often in remote regions, away from the media spotlight and without any hope for reward. Yet in many ways the severe routes these men and women established outshine today's ascents due, in part, to the fact that rope and other gear were so strikingly inferior to today. And often our pioneering predecessors were climbing into a malevolent unknown--if compromised or injured, the only people in the world likely capable of initiating their rescue were the climbers themselves. Innovation emerged frequently and in unlikely ways. In these images, Herrington has captured the utter humanity of obsession, determination, intellect, and frailty.